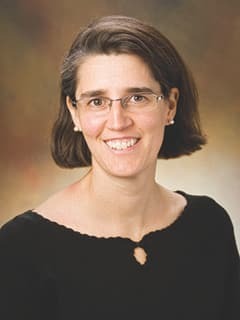 Kristina A. Cole, MD, PhD and researchers at the Center for Childhood Cancer Research showed that pediatric cancers rely upon a cell’s normal repair mechanisms to overcome the cellular stress that results from continued growth caused by cellular mutations and oncogenic stimuli, particularly by the MYC and MYCN oncogenes. Among these repair genes are signaling mediated by the CHK1, ATR and Wee1 kinases, which when inhibited halts cancer cell growth. Subsets of malignant brain tumors may also be more sensitive. From this work, a clinical trial is currently underway through the COG to evaluate the safety and efficacy combining a Wee1 inhibitor AZD-1775 and Irinotecan as treatment for relapsed and refractory neuroblastoma and medulloblastoma.